I finished watching the Discovery Channel's documentary "Biblical Mysteries Explained". It turns out that I'm wrong after all. I thought it'll refute some of the accounts in the Bible (namely the Exodus and Sodom & Gomorrah from Genesis) but it just explained these concepts in a scientific way. Personally, I think it isn't refutable at all. However, there is one thing which I'm quite confused about in regard with the parting of the Red Sea (part of the Exodus). An oceanographer explained that this strange occurrence may have been caused by a very strong wind (I forgot the specific term though), so strong that it can expose an underwater ridge causing you to think that the sea was divided into two. This wind is like traveling in a speed of 100 mph. If it is true, how can people cross that underwater ridge without being hurled by the strong wind? God was their shield? Perhaps yes, perhaps not! I just hope they've included the answer! But anyway, overall, I think the documentary turns out to be very interesting and entertaining at the same time, especially the part of Sodom & Gomorrah where archaeological, climatological, and astronomical evidences go hand in hand almost perfectly, suggesting that the destruction of these Biblical cities might have really happened in the past. So what's next? Evolution occurred after Noah's Ark? HAHA! That will be cool! I wonder how Mr. Dawkins would feel! This documentary will be shown again. My fellow believers should watch it! the bible states a strong wind blew. but the difference would be if it were the red sea or the reed sea. the read sea is shallow, a strong wind blowing all night could have exposed dry land, how ever I have my own theory, If the exodus is off by around four hundred years, then it could have been a tsunami caused by very large volcanic explosion in the mediterranean sea. And then all the pleags could also be explained. 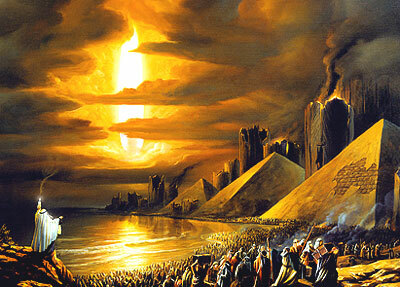 the parting of the red sea happend before the romans came to judea or egpyt or any parts of that ancient world. amoyube1980 since there is no archeological evidence to support the story of Exodus the whole discussion of if , when or how the Red Sea parted seems a bit silly. Why spemd time speculating on an event that probably never happened? If it was the reed sea...how did the army of pharoah drown in it? As for it being a wind...lol...in my Bible - God created the wind - He certainly can cause it to blow when and where it suits Him. As for there being no archeological evidence to support this...there was none to support the existance of the Hittites either until some was found...many Bible detractors laughed at those who claimed there really was a people called Hittites...are they laughing now? Same for the city of Ur And Hezekiah's tunnel...now we can walk through it...remember...just because YOU don't know about it or think it is true...doesn't mean it isn't. It just means YOU are lacking in knowledge. We used to think the universe was eternal...static & unchanging....now we know it had a beginning..just like Genesis says. Your pride and arrogancy shows in what you say here and yet you say it is believers who are arrogant...lol! Do some real research before you begin to call others ignorant. I have also watched the documentary last night and I have the same question too on the red sea thing. In my assessment though there are two things that these people are implying either they will prove that the Bible accounts were true by proving it in archeological and scientific claims or it discredits it and prove it to be wrong. I find things very hilarious like the one you've mentioned with the red sea part especially so does Moses have to wait for the right time and raise his rod when he knew that the sea would break into two ? Very bad presentation, hope they can find another option if they mean to discredit the Biblical accounts. Such documentaries are, of course, intent on finding plausible explanations for things and, since that is their brief, they will, of course, find them (which is not to say that their explanations are not truthful and entirely plausible, of course). I didn't see the documentary but I have seen many like it and they are highly interesting and entertaining. If you are of the school that believes that every word in the Bible is precisely and literally true, then I think there is no more to be said: such people are always able to counter with their fixed and unwavering belief in the ability of God to do the impossible (and in the ability of an unlettered and uneducated tribe of wandering herdsmen to faithfully preserve a collection of orally transmitted traditions for several thousand years until the advent of writing). Personally, I prefer to see the Bible as an inspirational (rather than as an unequivocally inspired) book. You cannot expect much of it to be even as literally true as a modern news report (and we all know how they can be distorted). Everyone would agree that it was never written as a whole book as we conveniently have it today. It is a very miscellaneous collection of writings which was seriously edited by the early Church, in any case, from what was available to them at the time. There were many books which were considered 'apocryphal' for one reason or another and those that were included were often translated from an original language which was, to say the least, often obscure to the Jews themselves. That is not to say, of course, that it is 'rubbish' - it is most certainly not - but that each part of it should be understood and judged on its merits rather than assigning a 'blanket' merit of authority by saying that it is the 'word of God' and therefore not a single word in it can be a 'word of Man' (or a human interpretation of what God meant). All intelligent Christians (and Jews) will tell you that the Bible can only be properly understood if it is read with 'the Spirit' and that is precisely what I am advocating above! What the documentaries like the one you saw always seek to do (and rightly so) is to show that there can be logical and 'natural' explanations for many things which, in the Bible, are attributed to God. I see nothing blasphemous in that - did not God create and ordain the natural laws that govern physical forces? The message that I would wish people to derive from such programs, however, is one that is not explicitly given. It is that it is potentially blasphemous (and certainly unjust to true faith) to attribute natural happenings to the miraculous intervention or 'wrath' of God, depending on the event. There are still people, unfortunately, who attribute their misfortunes - even such minor accidents as, for example, an accidental injury - to the 'judgement of God' and, even more avidly, put down their successes (winning the lottery or winning a war, for heaven's sake!) as the result of prayer or divine beneficence. Such people have the minds of children and it would be wrong to condemn them out of hand. I do not believe that God does so, since I know that he loves children, and especially His children. Nevertheless, such people are misdirected and do need to 'grow up'. My prayer is that they should do so. Brilliantly expressed! Reflects many of my own views in relation to the bible and religion in general. I heard that Darwin consider the absurdity behind the evolving of our eyes. He said something like, "if our eyes, so complex, came about in a random chance or evolving, that would be absurd." I'm not sure if I got that exactly as it was said. But the message is something like that. Good info. islander but can you tell me why it's closely aligned? I've seen one documentary (I think it's from Discovery Channel or National Geographic) that the DNA of apes, gorillas, orangutan are all the same in percentage, but surprisingly, human DNA doesn't fit in. Is that part of natural selection? No matter how science explains things and gives us answers, people will continue to believe the way they want and NOTHING can make them believe any other way! I have a very religious friend who says there never was any dinosors, (can't spell it right), any way, she says scientists just made all that up and all the bones are fake! How can people be so strong in their religious beliefs that they will not believe any other way? Don't they ever want to learn? Why are they so closed minded? I'm beginning to think they are scared to know some truths! (BRAIN WASHING IS A POWERFUL TOOL)! The human brain is a computer and different computers use different operating systems based on the programmers that are allowed access. These programmers are other people that you interact with as well as the thoughts that you accept into your own computer (brain). The programming language for the human brain are words strung together to create thoughts. The priests of the past and present knew/know how to control the minds of those who are susceptible to suggestion, especially if guilt is used as a weapon to prevent those people from questioning their faith: a believer doesn't want to be perceived as an enemy of their "god", so there is pressure for them to conform and to suppress their natural human inquisitive nature. Many churches now have pastors who study advanced human psychology in an effort to be more persuasive and to exercise more power over their congregation. If a living being programmed computers, who programmed the human brain? Is that part of natural selection? I'm talking about life in general. I'm referring to Richard Dawkins. He's a famous atheist. Author of the book The God Delusion and a big fan of Charles Darwin. That's interesting Adoniah but please state your source to make it much more interesting. Funny! Moses could have been the Nostrodamus that time LOL. Great timing Moses! Mm.. interesting. I'll have to try finding the documentary. I wouldn't put my hopes up for evolution occurring after Noah's Ark though. Putting aside the fact that the story of Noah's Ark is fiction, that'd be impossible. Then what is that picture of up on Mt. Ararat that the communists wouldn't let the world see? Now they're not hiding it any longer...and several reputable expeditions have seen a part of it sticking outside the ice. Not to mention the natives of the area who say it is what it is. Like I said earlier...if you don't want to see it or believe it, you won't. Then you might have to change your life around and act like you are accountable to something greater than yourself, huh? I think this would be a really interesting documentary to watch. Although I definitely do not believe in the big bang, I am unsure about how evolution would fit in with Biblical history. Well for my all biblical miracles can be explained fully by science, there is no refuting that fact. But the sense that almost always there is a coincidence is one thing to wonder on. How come if one scientist explained that a wind cost it to divide, then how come it is in the right time and in the right place? also in the three kings being directed where jesus is by a star can be also proven by science. but the coincidence of the exact time and date is to wonder on. Well unless scientist can disprove intelligent design then im still a believer. and also if something can be made without nothing then all mathematical equations, physics and such should be denied to sign "=" for one can create something without using anything. I was always been fascinated by science. How scientist explained the impossible things that happen in the past civilization. They always had explanation to everything. But how can they explain the very complex nature of how space and planets stay the same. As if there's a divine power that hold everything in order. yeah, discovery is really an eye-opening programme. and thanks to the work of those scientists that we get to know the surroundings better. Actually, many times when scientists set out to refute the Bible, what they do instead is find evidence that backs it up. Interesting. Actually... religion is just an organization... What you believe, and what they make you believe are two different things it's up to you if you on how to respond to it..
Well, I too am interested in seeing this documentary . It seems to be quite interesting . Cool stuff - I want to see this documentary. I will search for it until I find it. Sounds interesting! Bible stories are called PARABLES for a reason. they were often STORIES to teach a lesson. Much like folklore - they were verbally handed down. They are not scientific accounts of things that actually happened. Samson and Delilah? A man who loses his strength because she cut his hair? Come on people. Why does everyone feel the need to take the Old Testament as absolute truth. They are STORIES. Not all stories are fact.